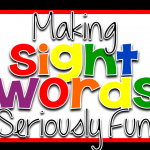 Do you need to make sight words more meaningful in your classroom? 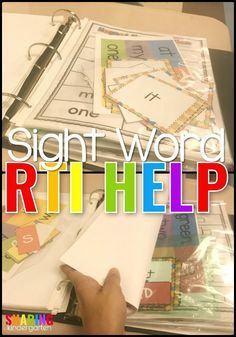 Do you need to get your students building, creating, reading, and using sight words over and over again so they can actually LEARN those sight words? 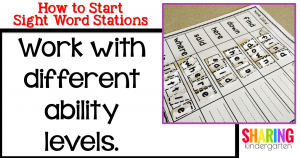 Are you finding you need Sight Word Stations but need to know how to start them? 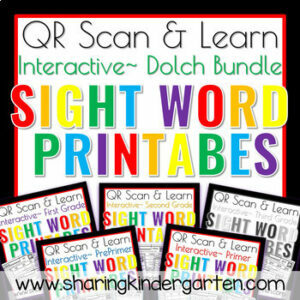 I did need rich, engaging, and FULL activities to get my students to learn their sight words. 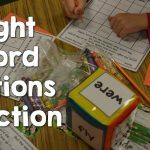 I needed Sight Word Stations. 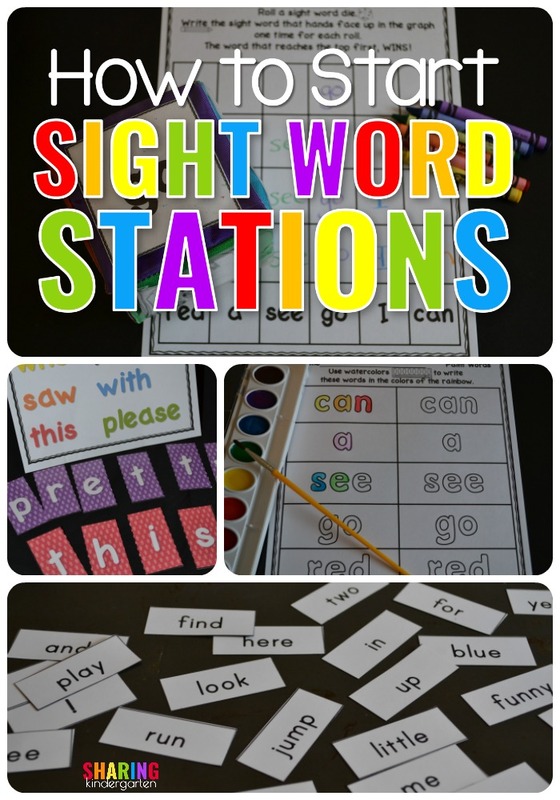 Correction, my students needed Sight Word Stations. 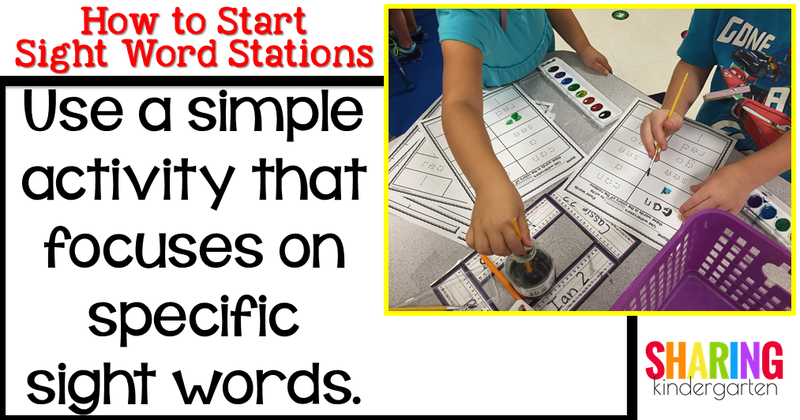 How Can You Start Sight Word Stations? First, do not stress about starting these in the first few weeks of school. Learn your students and their needs. I have to give my students many basic assessments in the first few weeks. 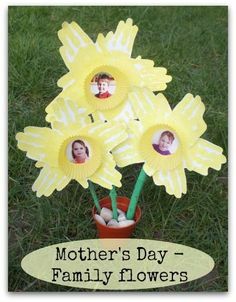 I have to teach them so many basic skills like HOW to cut, how to glue, how to sit and wait. Do all of the beginning of the year tasks first. That is your main priority. 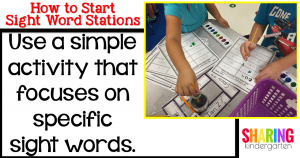 How to Start Sight Word Stations: focuses on specific sight words. 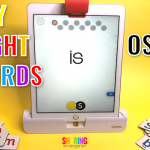 Next, as you teach your students basic skills, use a simple activity in a FUN way from a sight word station that focuses on your sight words. Nothing huge, nothing major. 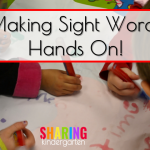 I usually fill an activity a day that focuses on sight words. 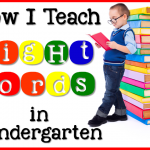 Since the first set of words focuses on the sight words “a, I go, see, red, and can” it is easy to do. 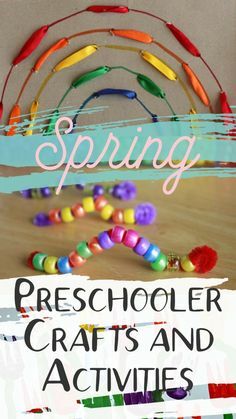 I like to take the first set of activities and teach my class how to do them over a few weeks. For example, I teach them how to break the code in a small group. 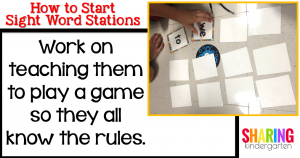 We work on playing memory so we all know the rules and how to play. 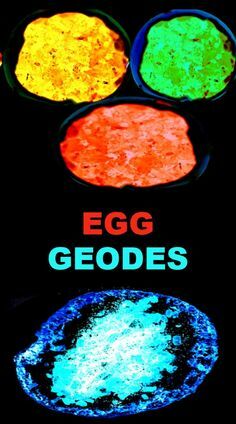 This sounds simple, but many of my kids do not know how to play this simple game. 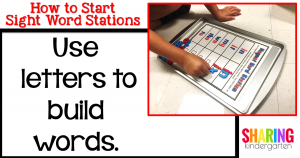 Teaching your students how to play by modeling it to them, then monitoring students only playing. We work on the magnetic letters so we can find the letter we need and sort them. 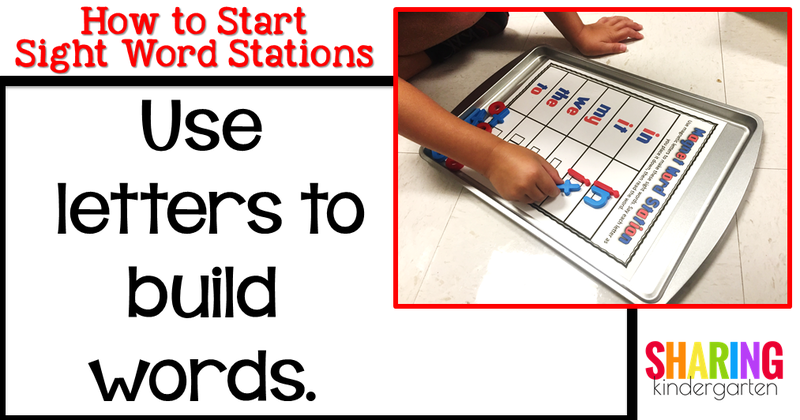 This allows us to take letters to build words. We work on where to get water for the cups for the watercolor paper and how to clean it up. All of these steps take time. There is no rush. 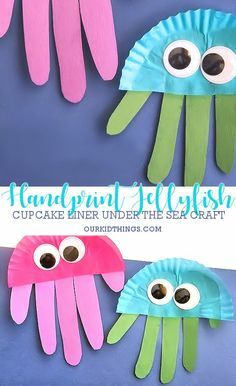 We do these steps with a teacher to gain lots of learning support for each activity. KNOWING how to complete the activity is better than getting it all right. 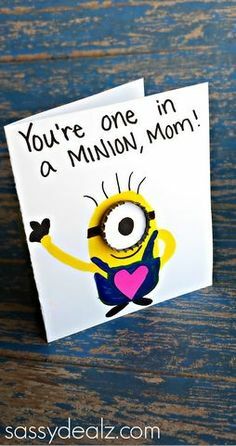 I can see a ____. I can see a red ____. 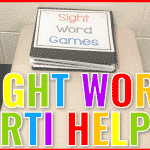 Since I give my students new words and the same activities week after week only with new words, their independence level for tasks sky rockets. 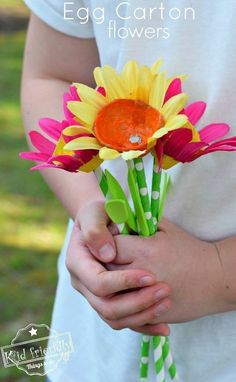 I give them more independence with the tasks to see who can complete them without help, with a little bit of help, or with complete assistance only. 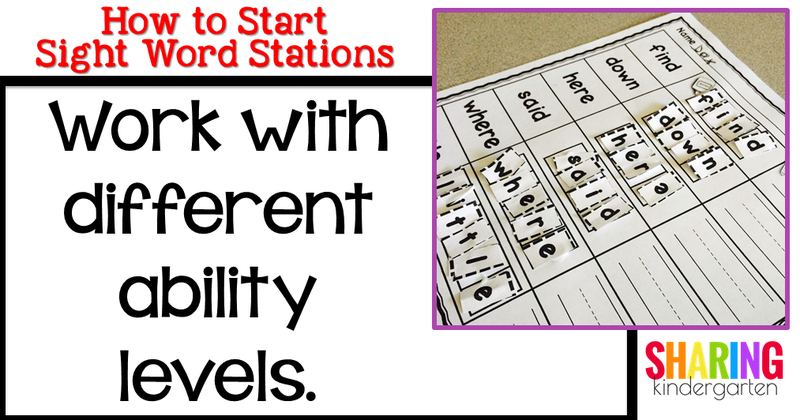 As a real classroom teacher, we know that every student will not have the ability to complete independence with each station all the time. I usually have a large group of students how can work all the stations independently and a few that can not. You can stay very close to those few or I give them a buddy to help them. 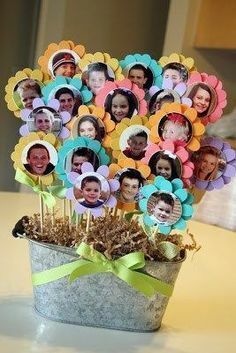 I also like to buddy these friends up with a dominate personality in the classroom. This is usually a win/sin situation. When I see independence of ability to complete simple tasks, I know we are ready. Lastly, I pay attention to the stations they LOVE and the ones they are a little tired of. This allows me to change them out for the next week based on their interests as well as their abilities. As my students grow, I can pull in harder tasks. 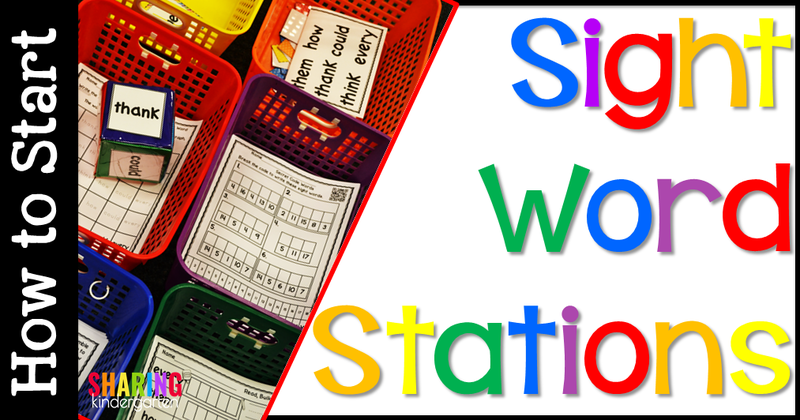 Want to purchase Sight Word Stations that are ready to go? There are Dolch Packs provided here. 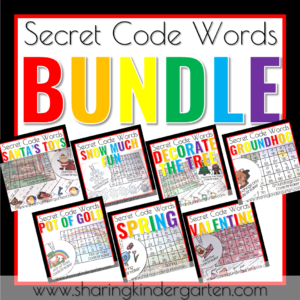 Each “week” was created for 14 activities per 6 word set. 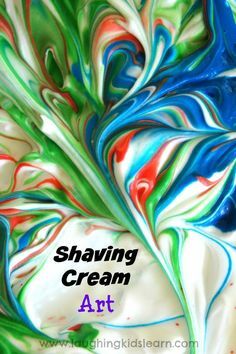 or in a money saving bundle like shown above. You can also look at Fry sets. 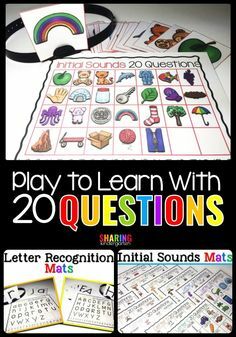 These lists are designed for 1st grade learners. 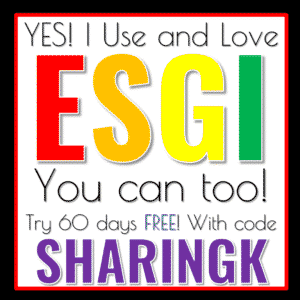 Therefore they cover 10 words per set and 12 activities per set. 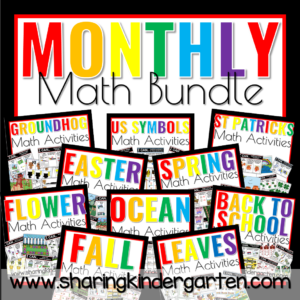 These sets are provided by sets and in this money saving bundle. 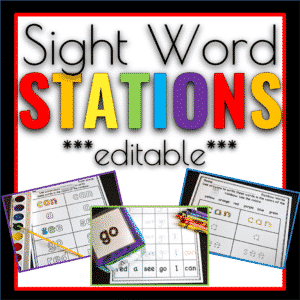 Did you see that I created EDITABLE Sight Word Stations! 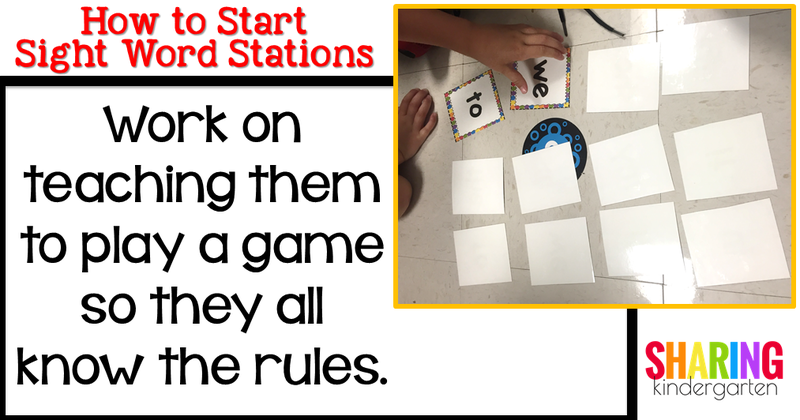 You can make these stations with your CUSTOM words!